The Alternative Government has welcomed the latest World Bank report on the PNG economy, which was released on February 7th. Shadow Minister for Treasury and Finance, Ian Ling-Stuckey, said: “It is positive that international organisations, even those where governments control the Board of Directors, can bring in technical expertise and more independent commentary. “There is much wisdom in the report, especially in terms of stimulating private sector development through competition rather than backing government besties and cronies, as well as a good focus on getting agriculture growing again. “These figures deserve giving the O’Neill/Abel government a great big ‘F’ for ‘fail’ when it comes to economic management. However, the ever diplomatic World Bank doesn’t use such language – its own government representatives are on the World Bank’s Executive Board (PNG is a member of a grouping which has someone sitting on the Board and it has its representatives working full-time in the Executive Office to protect the government’s interests). “So when the government tries to spruik the report and say how wonderful things are, just remember the list of appalling facts above,” stated the Shadow Treasurer. “One area where the World Bank report is clearly soft on Treasurer Abel is the embarrassing blow-out in the government’s fiscal targets. As part of getting World Bank budget support, the O’Neill/Abel government promised to lower the deficit target down to 1.0 percent of GDP in 2018. 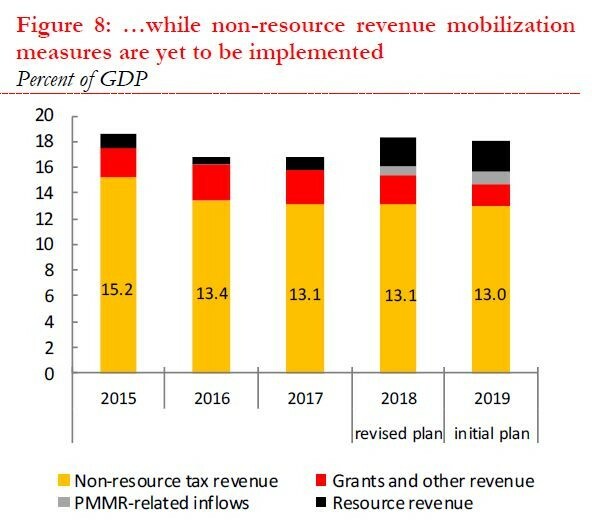 “This non-primary deficit target was the first commitment for getting budget support from the World Bank. However, in an irresponsible spending spree, the government says it spent K994 million more than agreed in 2018, and then another K1,304 million in 2019. These funds represent windfall revenues from the higher oil prices seen in the first three-quarters of 2018. “However, these should have been saved to pay down debt. Oil prices are highly volatile – the government should not have gone and spent all the extra money. 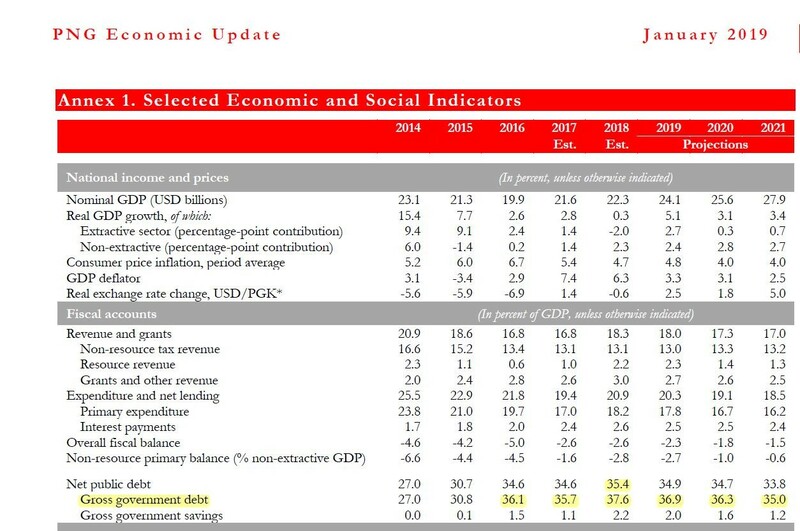 And with oil prices now well below 2019 Budget estimates, this spending spree may mean PNG could face a very tough landing. “The World Bank report is also too soft on the foreign exchange side. Of course there is massive relief from local businesses that foreign exchange shortages are being reduced. However, simply borrowing foreign exchange at high interest rates, much higher than the domestic debt which is being replaced, is just a band-aid. The World Bank should have spent more time talking about the clear dangers of simply borrowing rather than addressing the real problems, especially with the government plans to increase external debt to over half of all debt – a risky situation that turned very bad for PNG in the late 1990s. “Overall, one must understand how these reports are written to understand their true messages. Because there are PNG government people in the World Bank’s Executive Board Office, the language is very diplomatic. However, there are enough facts in this report to confirm the O’Neill/Abel government is failing to meet the needs of its people. “Behind the nice words is a great big ‘F’ for ‘Fail’ for the government. There is an urgent need for a better economic team in Waigani,” stated Ling-Stuckey.